When you suffer an accident, have sudden tooth pain or bleeding, or experience damage to your tooth or a dental restoration, you need to seek treatment from an emergency dentist as quickly as possible. 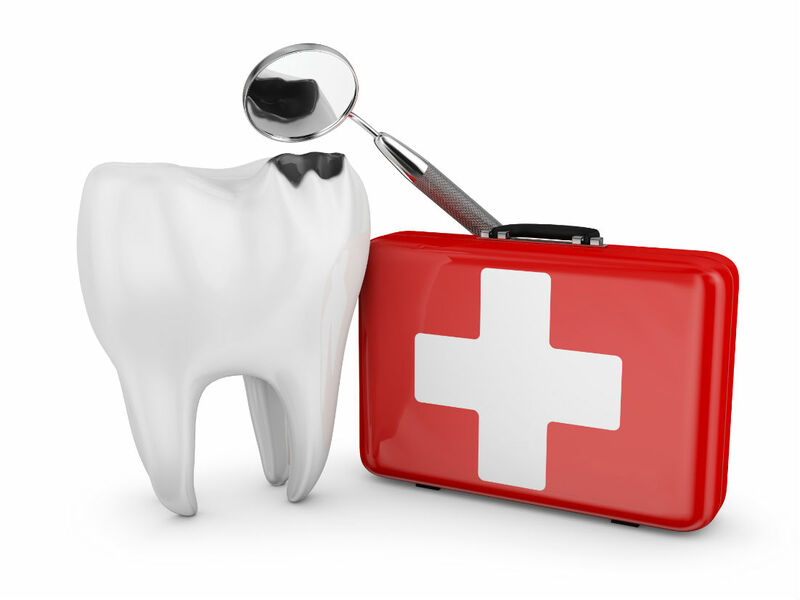 Dental Care Oak Lawn offers emergency dental services and same-day appointments for new and established patients. Dr. Forrest Tower is equipped to handle all types of dental emergency care so if you are in need of an emergency dentist in Oak Lawn, it is important to contact us at the first sign of complications. We will do whatever we can to address the situation quickly and get you out of pain as soon as possible. Call our office now to schedule an appointment. Toothache - A toothache can be caused by many different problems, from a cavity to an infection in the dental pulp. Schedule an appointment with our Oak Lawn emergency dentist for a quick diagnosis and freedom from discomfort. Broken or Knocked-Out Tooth - If one of your teeth breaks or is knocked out, apply pressure to your mouth to stop any bleeding. Use an ice pack over the area in a case of a broken tooth to reduce swelling. If the tooth is completely knocked out, try placing it back in the socket. When that's not possible, you should place the tooth in a glass of whole milk. Always pick up an avulsed, or knocked-out, tooth by the crown – avoid touching the root of the tooth. Call our Oak Lawn dental office immediately so we can help you save your tooth. Loose Fillings and Crowns - If your crown or filling is loose, remove the filling or crown from your mouth and keep it in a plastic baggie if possible. Schedule an appointment with an emergency dentist right away, as leaving an unfilled or uncrowned tooth exposed can lead to serious problems. Bleeding Gums - Bleeding gums are a sign of gum disease, which can put you at risk for tooth loss. If your gums are bleeding, treat it as a dental emergency and schedule an appointment with a dentist right away. Jaw Pain - Jaw pain can have a number of causes from Temporomandibular Joint Disorders (TMJ) to infections of the teeth. If you're experiencing jaw pain, you need to schedule an appointment with an emergency dentist for a full diagnosis. When you choose Dental Care Oak Lawn for your emergency dentistry needs, you can be certain that you'll get the best possible care. Dr. Tower will respond quickly to the situation while taking the time to listen and understand the problem. Using his training in general dentistry, cosmetic dentistry, TMJ disorder, and other dental concerns, he will not only address your immediate needs, but he'll also work to develop a treatment plan to reduce any underlying problems that could result in other dental emergencies in the future.